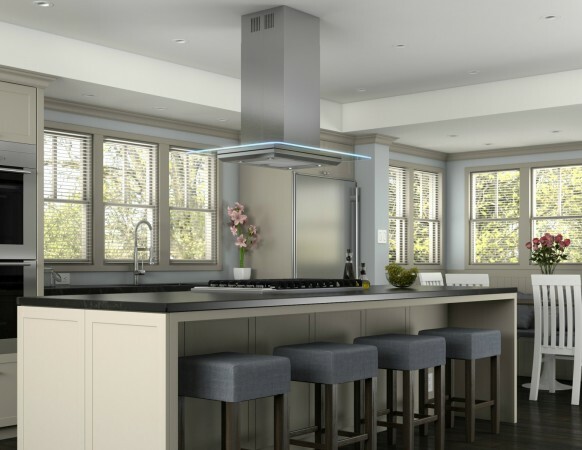 When you think of kitchen range hoods, you may recall the standard stainless steel versions that are in many homes; flat, no-nonsense models that are completely functional in nature. 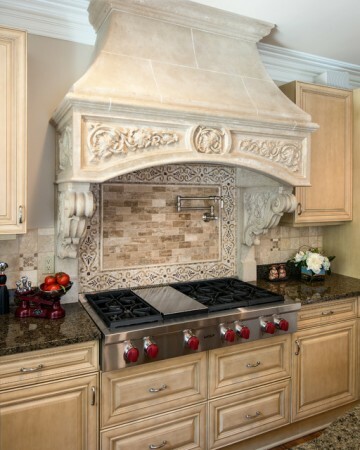 Well, range hoods have come a long way since then and the styles have entered the 21st century. 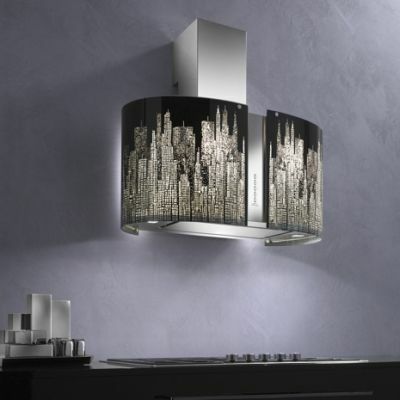 Here are classic, metal, modern and artistically-inspired kitchen range hoods to transform your kitchen. 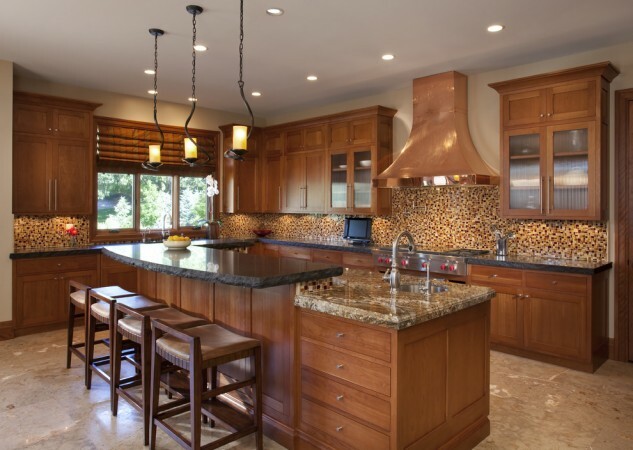 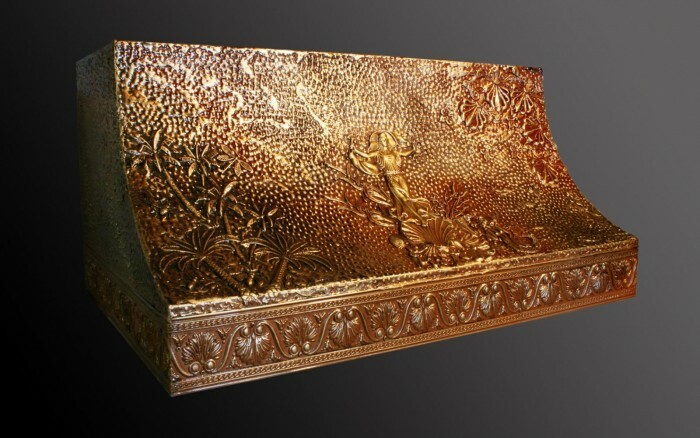 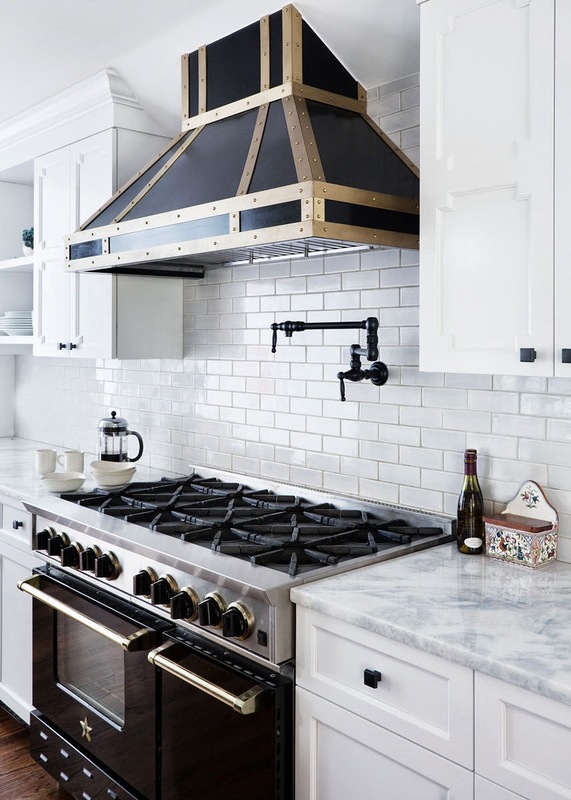 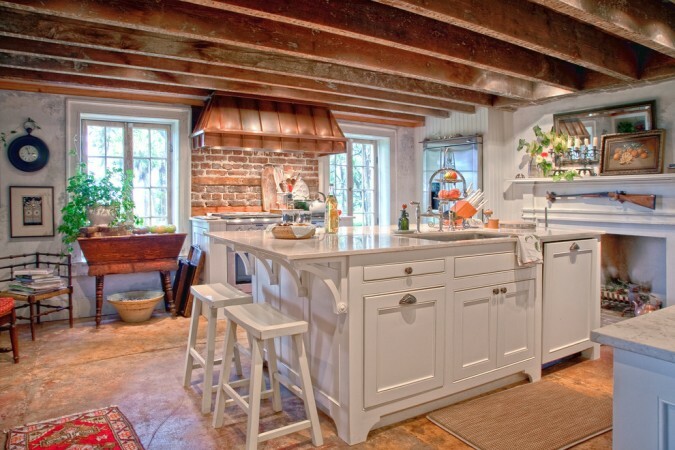 Metal range hoods, such as copper, brass and bronze have a large appeal for the kitchen. 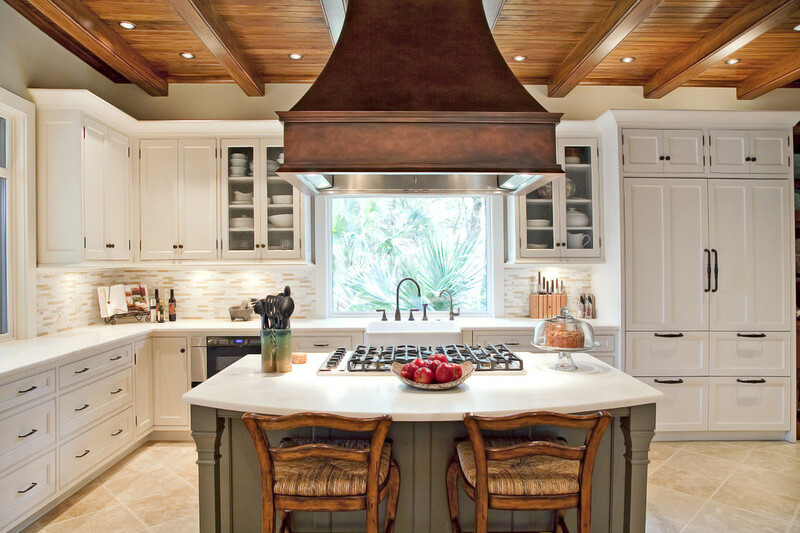 Smooth and sleek or hammered and aged, metal range hoods have a rustic aesthetic that blends well with traditional kitchen designs. 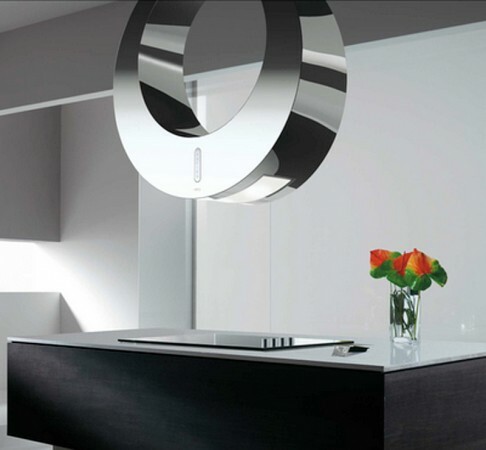 Molded in contemporary shapes, metal range hoods can add warmth and character to modern kitchens as well. 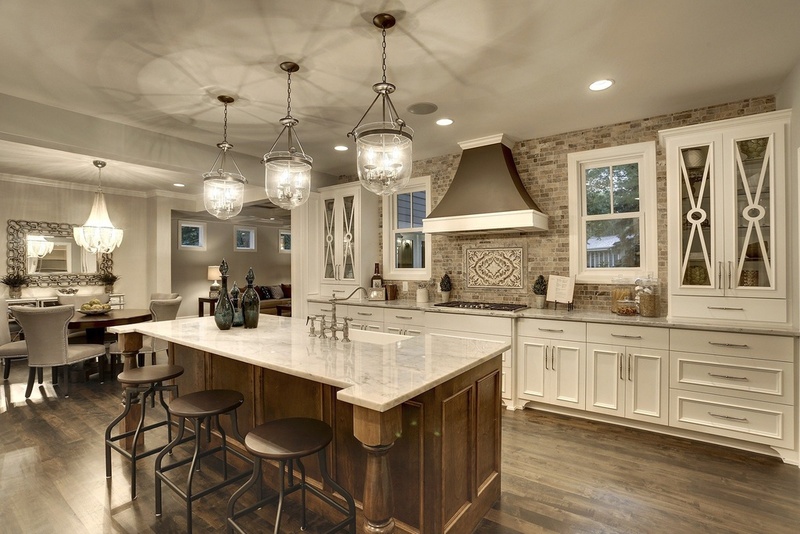 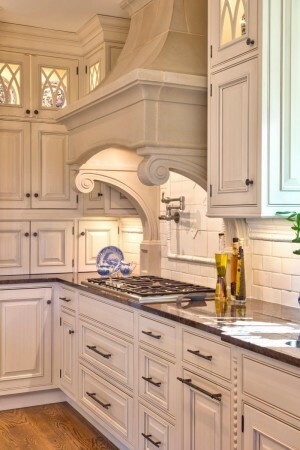 Wood and stone range hoods are typically seen in traditional kitchens and can sometimes be quite elaborate with attractive moldings and decorative corbels as accents. 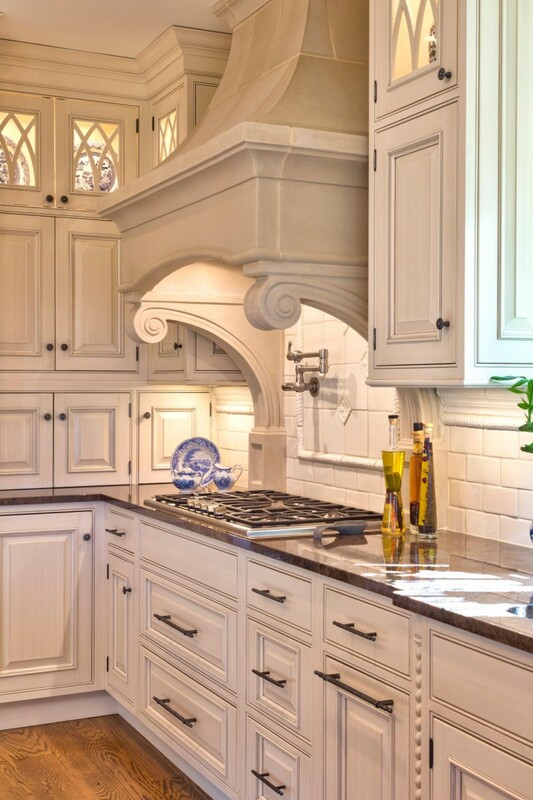 Decorative wood housings can be built around ducting and fans to give the kitchen a finished look and to blend in with the cabinetry. 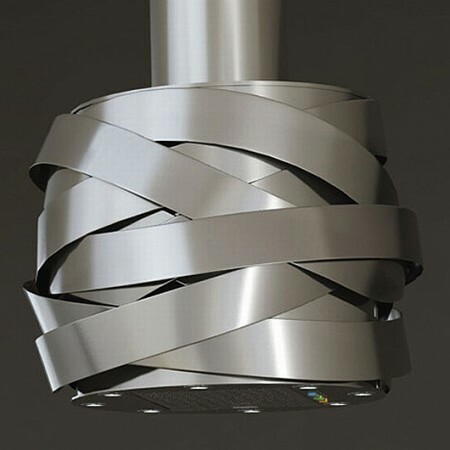 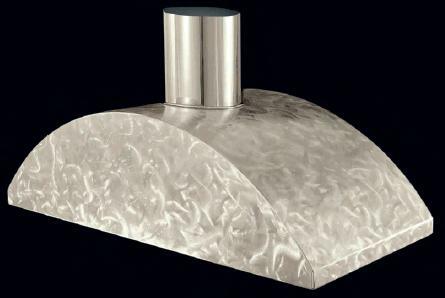 Modern stainless range hoods are sleek and sophisticated. For those kitchens with island cook tops, styling is important due to the visibility of the venting in the center of the kitchen. 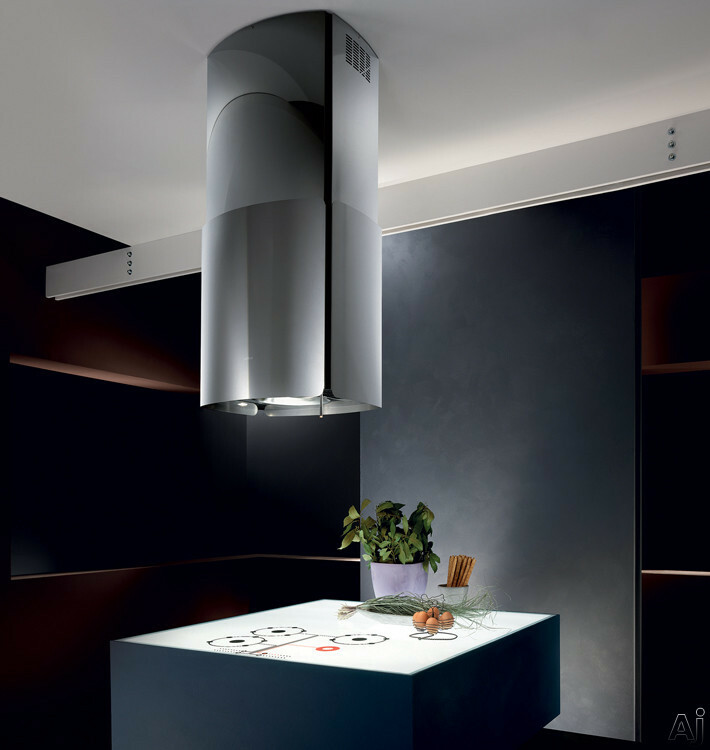 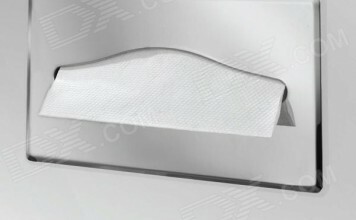 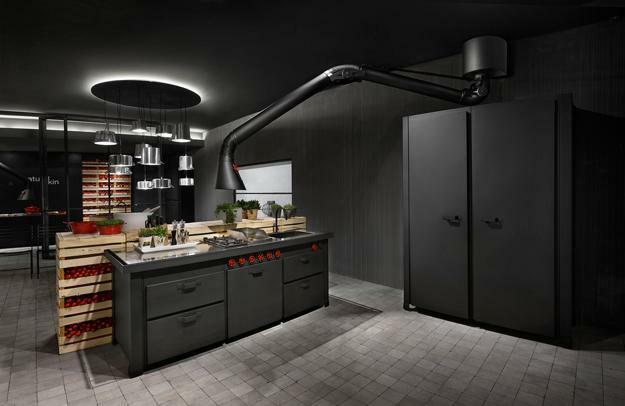 Designers of modern range hoods have become quite inventive, creating stylish and functional models. 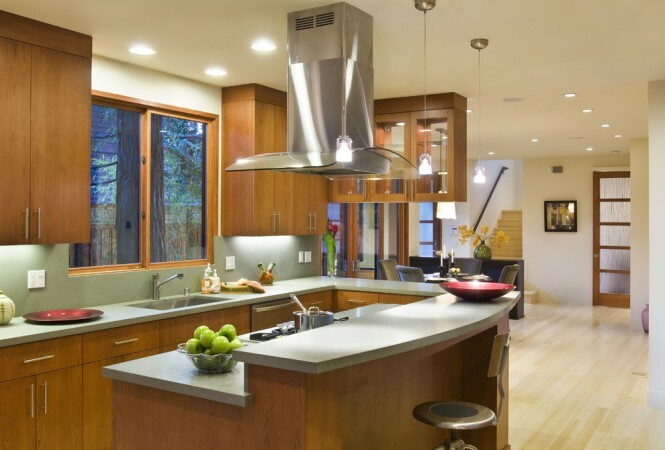 With the popularity of open kitchens and floor plans, manufacturers have increased the artistry of modern range hoods. 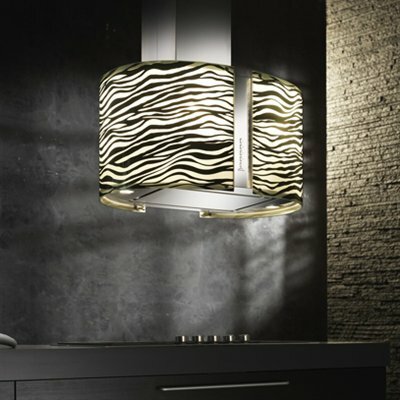 These unique designs offer luminous elements and creative shapes. 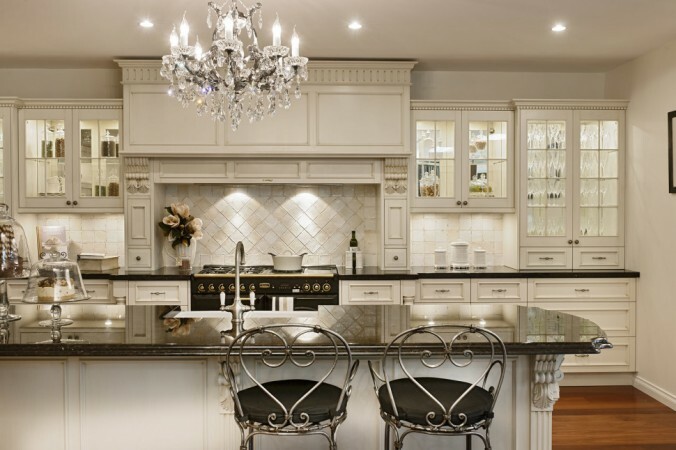 Range hoods are made with quality materials and the craftsmanship is noteworthy. These range hoods are functional art for the kitchen. 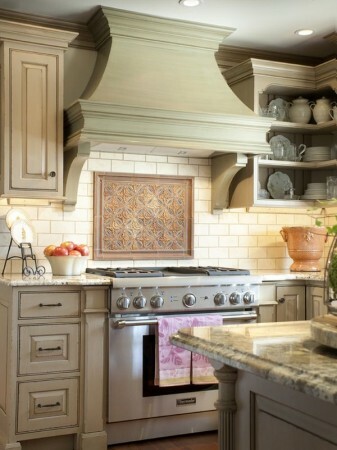 A range hood is a necessary element in the kitchen, but it doesn’t have to be ordinary. Next time you go into your kitchen, take a look at your range hood. Could it use an update? 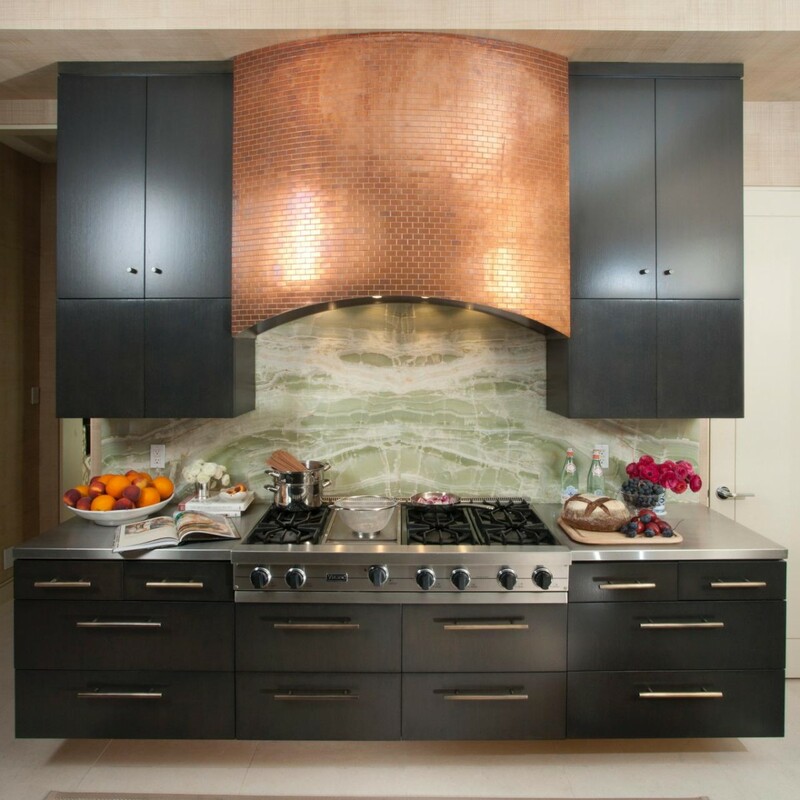 If so, consider a hammered copper, ornate wood, sleek stainless island model or a truly artistic approach to the range hood for your kitchen. 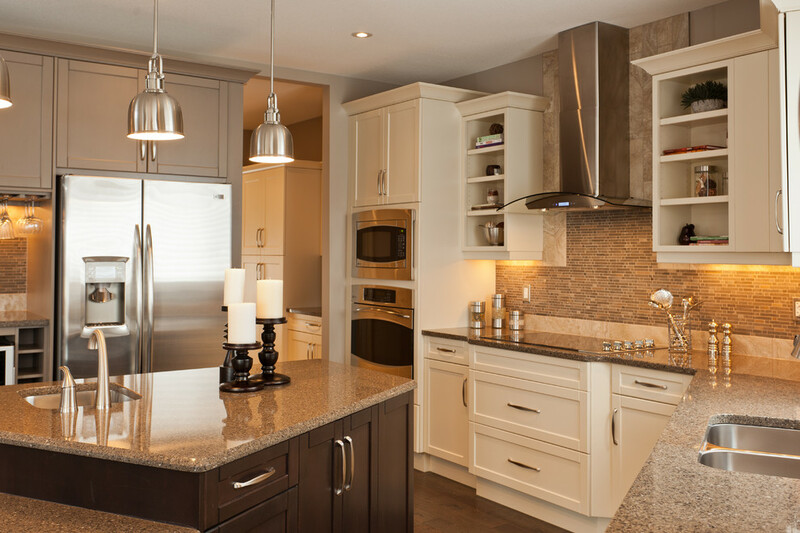 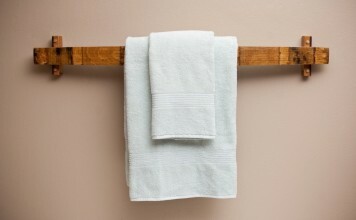 Blend function with style for a kitchen transformation. 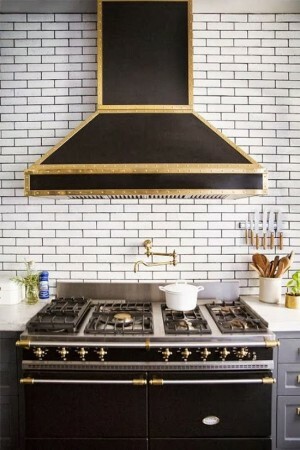 Wow, I just love how unique all of these metal range hoods look in your pictures! The copper one at the end is especially amazing since it blends so well with the rest of the kitchen. 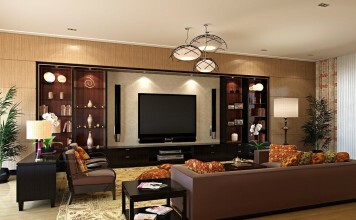 However, that extra shine makes the room a bit more exciting. 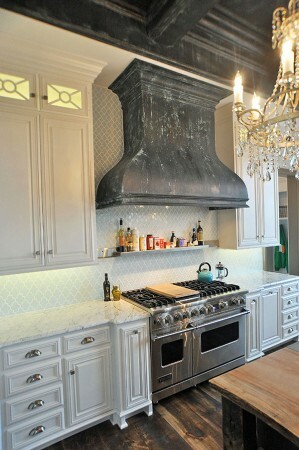 Maybe I should get something like that for my kitchen!